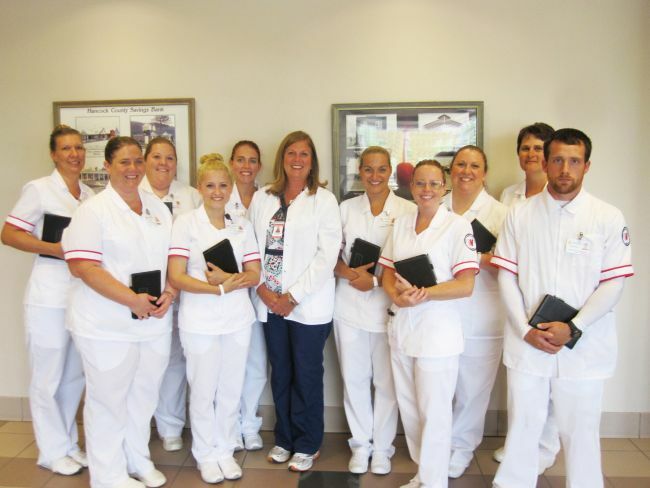 A nursing instructor on the Weirton campus of West Virginia Northern Community College has taken technology to a new level: she received a grant to provide mini iPads to 10 of her students. Tammy Aftanas, who has been a full-time faculty member at Northern for the past three years, initiated a research project, “Putting Technology into the Students’ Hands,” and received funding for it through a Teaching and Learning Grant from the WVNCC Foundation. 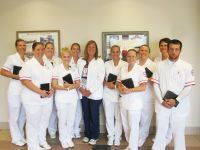 Aftanas said, “Objectives of the project are the enhancement of technology in the classroom and clinical settings and to develop student insight for working with technology.” For the fall semester that opened Aug. 19, she added, 10 nursing students were chosen randomly to receive the iPads which will be returned after the semester to be used again in the future. The applications also have been used by the instructor to provide course materials. “I believe with this technology studying is easier for students and, again, ‘in their hands,’” Aftanas said. Marockie pointed out that much of the work to award such internal grants falls on the Foundation’s allocations committee. “This committee, chaired by Bonnie Ellis, has met often and consistently and its efforts have served the college well,” she added.